Kick off your visit on the 17th (Sun): take in nature's colorful creations at Buckingham Palace, steep yourself in history at Tower of London, take in the views from Tower Bridge, then take in the architecture and atmosphere at St. Paul's Cathedral, and finally make a trip to Big Ben. To see traveler tips, where to stay, reviews, and tourist information, read our London tour app . New York City, USA to London is an approximately 11.5-hour flight. You can also do a combination of bus and flight; or do a combination of train and flight. Traveling from New York City to London, you'll lose 5 hours due to the time zone difference. Prepare for slightly colder weather when traveling from New York City in June: high temperatures in London hover around 68°F and lows are around 52°F. Finish up your sightseeing early on the 18th (Mon) so you can catch the train to Paris. Start off your visit on the 18th (Mon): make a trip to Eiffel Tower, appreciate the history behind Arc de Triomphe, then get to know the fascinating history of Champs-Elysees, and finally contemplate the long history of Cathédrale Notre-Dame de Paris. Get ready for a full day of sightseeing on the next day: stroll the grounds of Pantheon, then take a stroll through Saint Germain des Pres Quarter, then explore the world behind art at Louvre Museum, and finally look for gifts at Les Expressives. 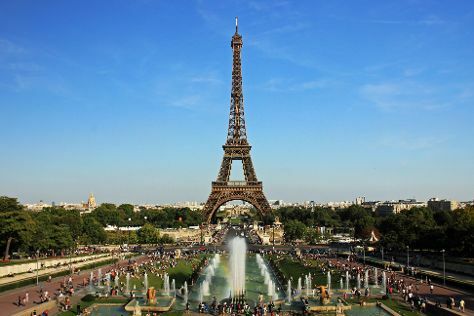 To find other places to visit, where to stay, photos, and tourist information, refer to the Paris vacation builder site . Traveling by train from London to Paris takes 2.5 hours. Alternatively, you can fly; or do a combination of flight, bus, and train. The time zone difference moving from Greenwich Mean Time (GMT) to Central European Time (CET) is 1 hour. While traveling from London, expect somewhat warmer days and about the same nights in Paris, ranging from highs of 74°F to lows of 55°F. Wrap up your sightseeing on the 20th (Wed) early enough to travel to Grindavik. Start off your visit on the 20th (Wed): take in the natural beauty of Gunnuhver Hot Springs, then brush up on your military savvy at Keflavik Maritime Center, and then get engrossed in the history at Viking World. For maps, where to stay, photos, and tourist information, read our Grindavik trip planner. Do a combination of train, bus, and flight from Paris to Grindavik in 7.5 hours. Alternatively, you can do a combination of flight and bus. The time zone difference moving from Central European Time to Greenwich Mean Time is minus 1 hour. Expect colder weather when traveling from Paris in June: highs in Grindavik hover around 54°F, while lows dip to 45°F. Wrap up your sightseeing by early afternoon on the 21st (Thu) to allow enough time to travel back home.